This is just so watery and luscious! 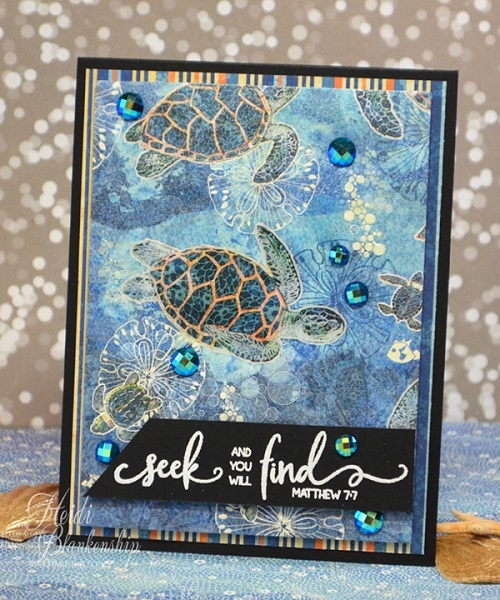 The paper is from Sun Kissed by Graphic 45. 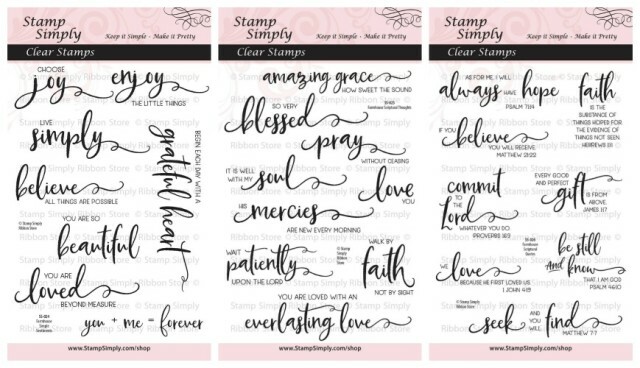 The scripture stamp is one of many in our Farmhouse Series. I love how the white sentiment on black paper just POPS here against all those blues. On this close up you can better see the stenciling (which was heat embossed in clear). 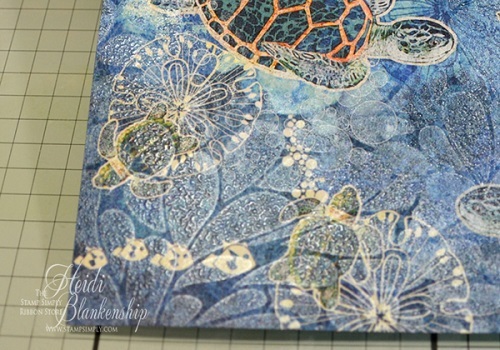 Heidi intentionally did not stencil over the large turtles as she wanted them to stand out. They are accented with glossy accents for a glossy sheen and added dimension. A FUN way to dress up an already pretty sheet of paper! ALL six sets in our Farmhouse Series are available for purchase individually or in a variety of bundled groupings. Purchasing the FULL RELEASE offers the GREATEST SAVINGS at 15% OFF the individual prices! Check them all out and grab what you need! 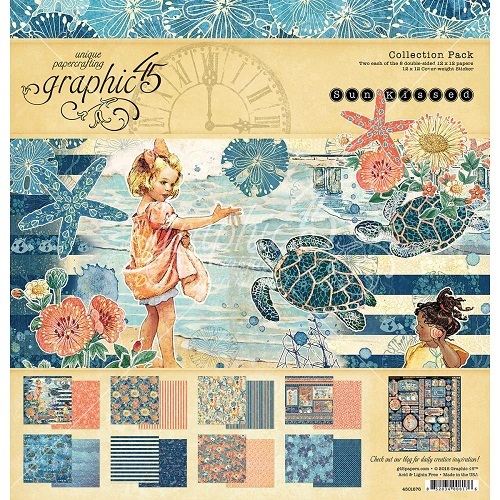 Loving this summery, beachy, child themed collection – so many options, here. In stock are the 8×8, 12×12 Collection Pack, 12×12 Patterns & Solids, Chipboard Tags & Ephemera cards. The beauty of this ink is that it looks equally as lovely used as is or embossed. 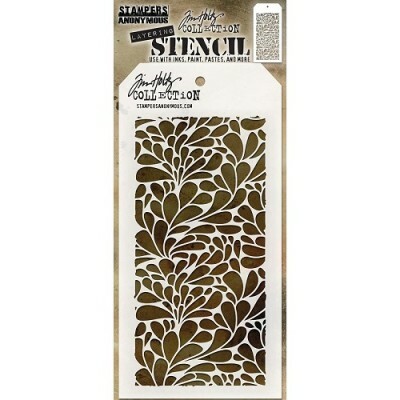 Without embossing it has a lovely metallic luster; however, it embosses beautifully as well. A wonderful dual purpose ink. These inks coordinate beautifully with our Luxury Pearlescent Cardstock as well as the Bazzill Mirror Cardstock . Additionally, we have a SPECIAL SALE just for YOU!!! View our Coffee/Tea Section here to see the wonderful SAVINGS! 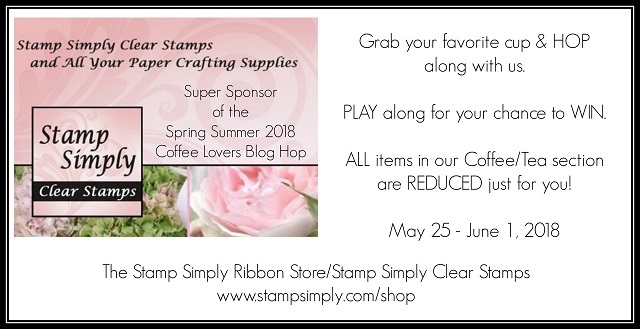 Check out the 2018 Spring/Summer Coffee Lovers Blog Hop for some fabulous inspiration and your chance to play along and WIN! 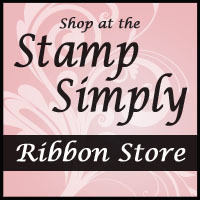 Find the Stamp Simply Storefront here.